My first impressions of Malawi? It is hot! Temperatures are reaching 37°C in Balaka district at the moment. Around midday it is particularly difficult to move around in the scorching sun. It is much preferable to sit under a shady tree until the heat dissipates a little (usually it becomes bearable by 3pm). The landscape is very dry. Sometimes there is a gentle cooling breeze, but that can also kick up a lot of dust. Fortunately, the rains will be starting in November, which will cool things down and allow the crops to grow. Power cuts are a frequent occurrence at that moment, as the country cannot generate enough to meet demand and electricity has to be rationed. The main energy source is hydropower – reservoirs are at their lowest at this time of year. 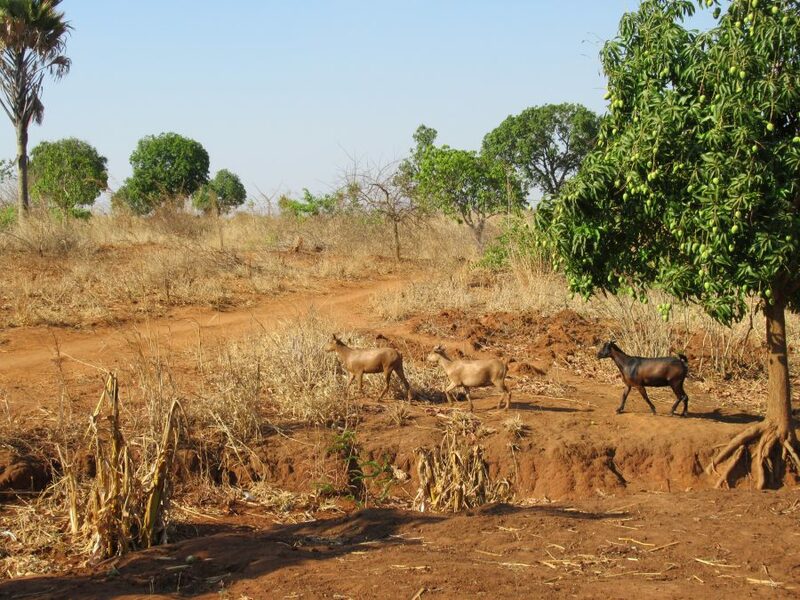 Water supplies to Balaka town are also suffering. My first week in the field was spent settling in to the District Water Office in Balaka, getting to know the staff members. This will be my home for the next 4-5 months (with a break to return to the UK for Christmas). 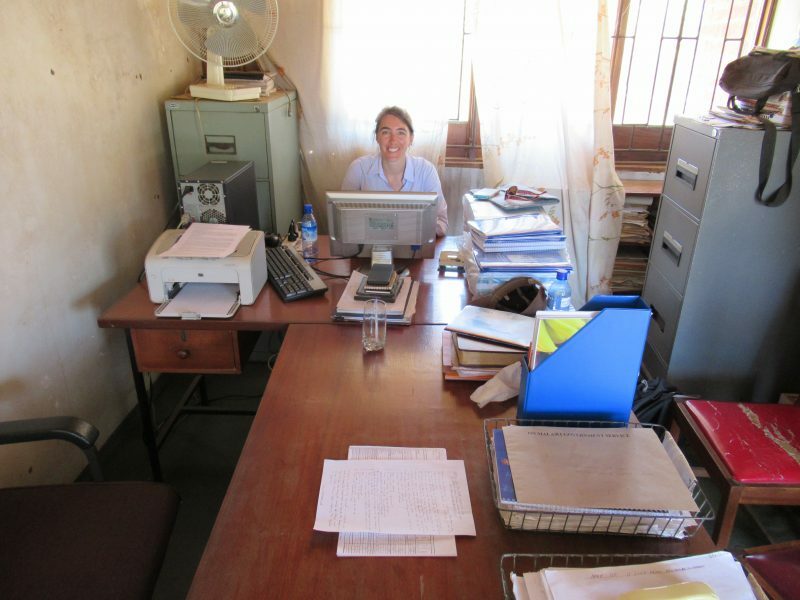 The office is located just behind the market in Balaka town. It has four rooms and lots of storage containers for equipment and spare parts. I sit in the same room as the District Water Development Office – the boss – although he is often away for meetings. There are around 49 staff employed by the office in total. Many are based at the treatment works and dam in Ntcheu (the neighbouring district) which supplies Balaka with piped water. 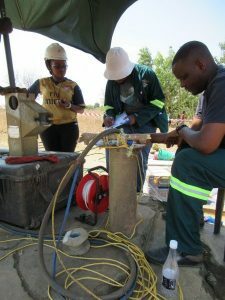 There are far fewer staff working on groundwater supplies, namely the boreholes with handpumps provided to rural communities. It is the latter that my research is focussing on. In my second week the UpGro Hidden Crisis survey team arrived. This is the project my PhD is linked to. The team are investigating the multiple causes of waterpoint failure. 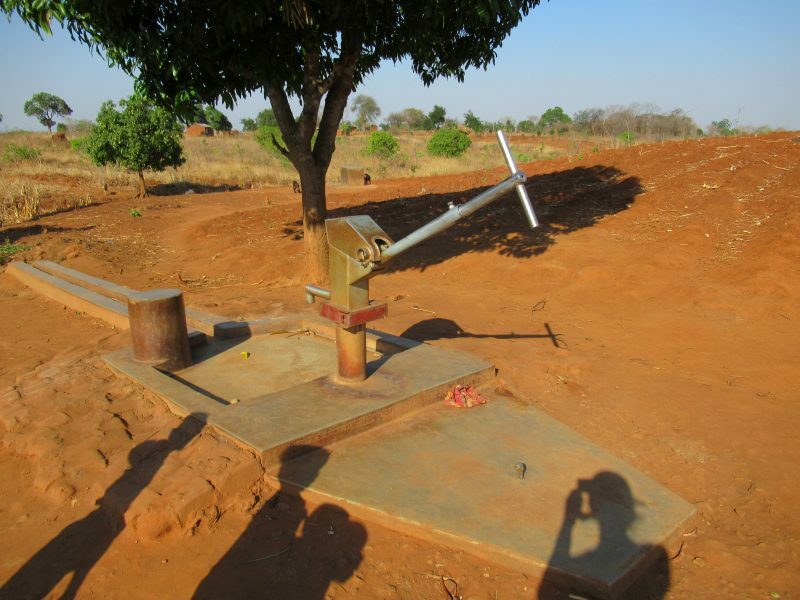 This includes the functioning of mechanical components in the hand pump, borehole characteristics (e.g. siting and yield) and various aspects of water quality. Discussions are also held with communities to discuss the history of the waterpoint – its construction, breakdowns and repairs, and local arrangements to collect fees and maintain the handpump. Every waterpoint has a different set of problems. In the case of Alufeyo the community were contributing money for repairs, and showed willingness to pay, but the borehole has been badly sited and produces a low yield. Ultimately, it is poor rural households that suffer when a waterpoint fails, particularly the women whose job it is to fetch water. Households pay 300 kwacha a year to use this waterpoint. Next week I hope to accompany one of the Water Monitoring Assistants on a Red Cross project that will be drilling and rehabilitating boreholes, and training Water Point Committees (community volunteers). The objective of my research is to understand the role of different actors at the district-level in developing and sustaining rural water services, how they get their jobs done and the networks of relationships on which they draw. One aspect of this is to explore the interface between the district government offices and the communities they support. Water is inevitably political. Behind the engineering and training manuals are a raft of different stakeholders, with various interests and ambitions. My task is to make sense of this complexity, to understand how governance arrangements affect the sustainability of rural water supplies.